Three new shops that have opened in Camborne during the last year are reporting better than expected trade. Synergy, Up Memory Lane and Love Goods are all independent businesses which, according to their owners, did well over Christmas and look set for a successful 2019. Rob Taft and his business partner Jamie Newton launched Synergy in Commercial Street last July. Having previously traded for seven years in Hayle, the pair chose Camborne for their range of bespoke designed and printed giftware after their previous lease came up for renewal and they found themselves confronting a significant increase in costs. 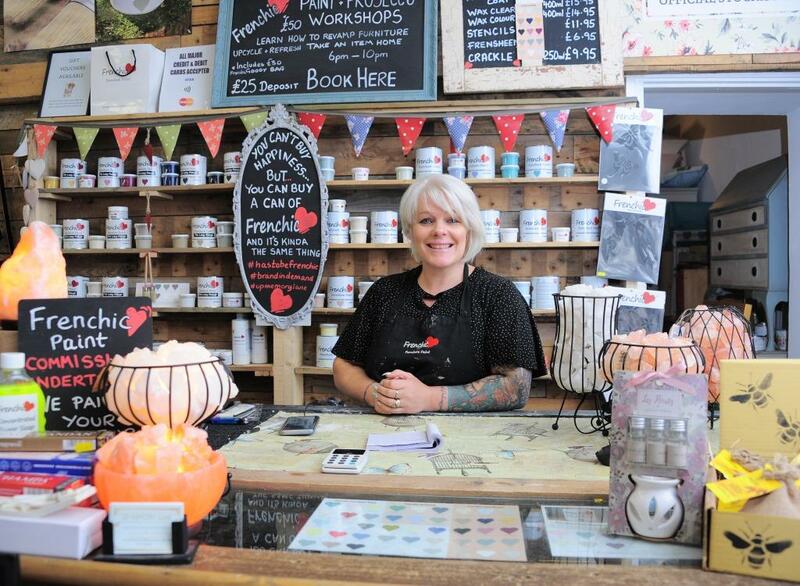 Louise Richards owns ‘Up Memory Lane’, which specialises in home interiors and unique, highly sought-after paints. She moved her business to Camborne from Redruth last February. “It’s been a really good year that’s seen a significant increase in turnover,” she said. “The support we get from our BID (Business Improvement District) team has helped because of the promotional support provided on their website and especially on their social media channels. That generates invaluable customer awareness. Lesley Clarke opened her art gallery, Love Goods, in Trelowarren Street, on Trevithick Day last April. Originally from St Ives, Lesley is a professional glass-blower who spent ten years living and working abroad before returning to Cornwall with her family. “We chose Camborne because we wanted to be in a town that was lived in all year round, rather than being somewhere that catered predominantly for the tourist market,” she said. “The local community have been very welcoming and we’ve met some lovely people. Providing an opportunity for talented artists and craft-makers to display their work is something I’m passionate about and it’s refreshing to exhibit works that aren’t just focused on seascapes – there’s a lot more to Cornwall than that. Chair of BID Camborne, Sharron Lipscombe-Manley, who owns and runs Delight2Bite, agreed.